Washington Post fact-checker Glenn Kessler on Monday called out former presidential candidate Hillary Clinton for an inaccurate tweet she wrote about the Las Vegas mass shooting. The 2016 Democratic nominee attacked congressional Republicans for their sponsorship of the Hearing Protection Act, which would make it easier to purchase suppressors for firearms. 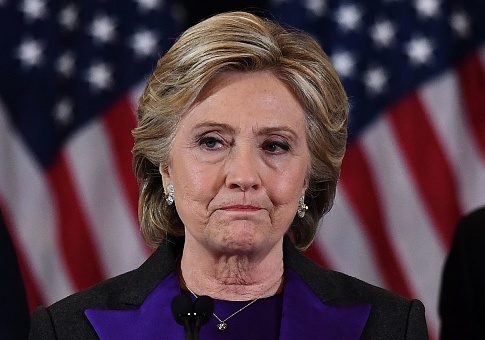 Clinton suggested that the Vegas shooter would have been able to kill more people under the law, since the victims would not have heard the shots. But Kessler pointed out that is not entirely accurate. In a March fact-check, Kessler awarded "Three Pinocchios" to Democratic New York Sen. Kirsten Gillibrand for her claim that "when someone gets shot by a gun with a silencer, it's quiet. Witnesses might not hear. Police will be less likely to track down the shooter." A rating of "Three Pinocchios" means the Post found the claim to be "mostly false" with "significant factual error and/or obvious contradictions." "There is little that's quiet about a firearm with a silencer, unless one also thinks a jackhammer is quiet," Kessler quipped at the time. His fact-check did upset some Clinton supporters on Twitter on Monday. This entry was posted in Issues and tagged Glenn Kessler, Guns, Hillary Clinton, Las Vegas, NRA, Washington Post. Bookmark the permalink.